The Franco Sarto Fuchsia Clara Hobo is currently selling for just $59.99 on Zulily.com! 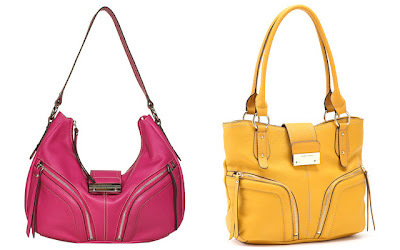 You will be saving 59% off the listed price of $148.00 with this leather handbag deal. There are currently over 50 styles and colors of Franco Sarto handbags included in this sale! I also liked the Canary Yellow Clara Tote that is currently selling for $64.99. That's 59% off the listed price of $160.00!